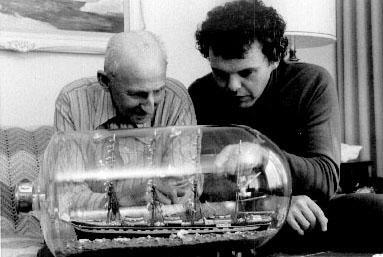 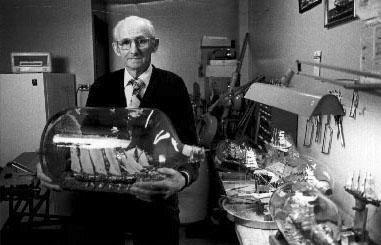 Artist George Fulfit was a world renowned ship in bottle builder. 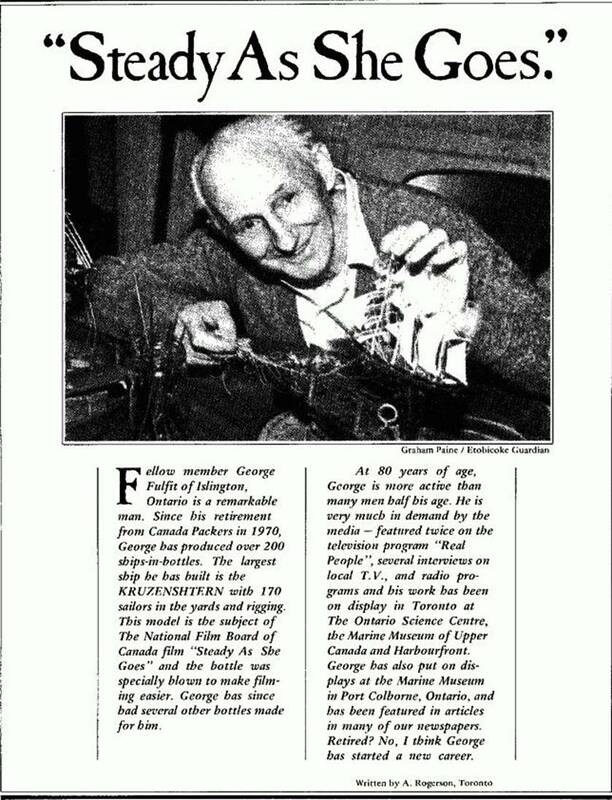 He made all his models from scratch and as a trademark included birds in flight as well as a bird sitting on a nest in the cork. 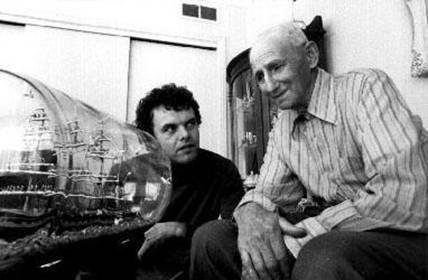 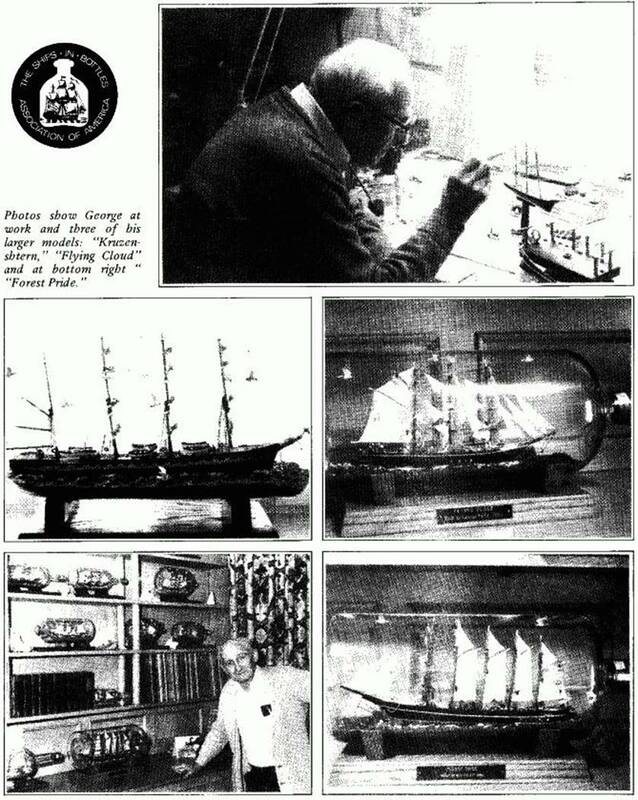 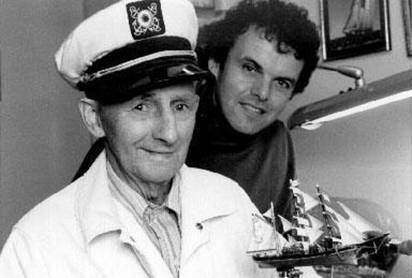 He also made and included several sailors made from toothpicks in his models and displayed them throughout his ships working on deck, on the lifeboat, and climbing the rigging. 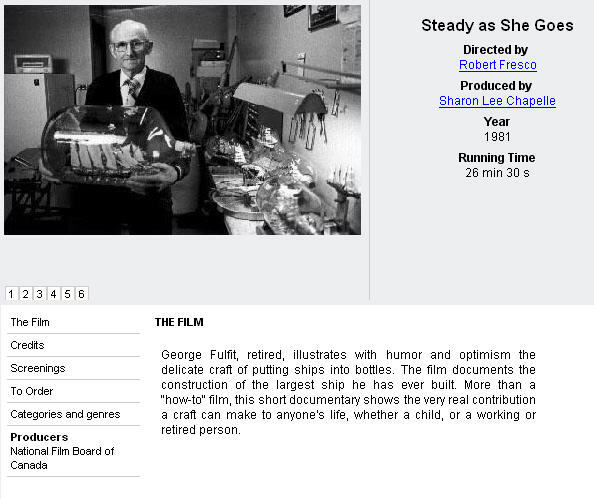 Click on this title to view "Steady As She Goes" - a movie featuring George Fulfit bottling an amazing ship in a bottle.